For most interviewers, in addition to technical interviews, Behavior interview is also a must pass before getting Offer! Therefore, it is very necessary to prepare a Behavior question. 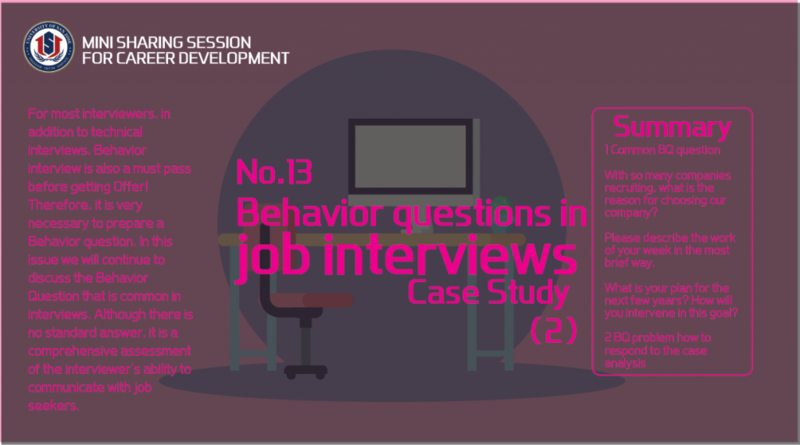 In this issue we will continue to discuss the Behavior Question that is common in interviews. Although there is no standard answer, it is a comprehensive assessment of the interviewer’s ability to communicate with job seekers.